Many of you probably know that person who runs 90-mile weeks, appears to never lift a weight and is so inflexible that he can’t touch his toes. While an approach like this may work in the short term, strength and mobility training are essential for running fast, training injury free, and protecting your body and the longevity of your running career. I know a lot of us struggle with when to fit this into our daily lives – it can be hard enough to make time to fit in all of our runs amidst our busy schedule, much less all of the “extra stuff” like stretching, foam rolling, and lifting weights. I like to tell my patients that you will reap more benefits from shortening your run by 10 minutes in order to fit in 5 minutes of pre-run mobility and 5 minutes of post-run mobility/soft tissue maintenance because this will help you stay injury-free, leading to more days in a row of consistent running. When it comes to lifting weights, even 10-15 minutes of light strength training post-run is enough to make a difference. This is even a more optimal time to lift; if your muscles are already a little bit fatigued from the run, you are going to get more bang for your buck from lifting weights. It’s important to focus on strength exercises that are running specific – think: alternating lunges versus a front squat, or a dynamic plank versus holding a plank for 5 minutes. We don’t run with our legs together, or with our core stationary, so why should we strength train this way? As a distance runner, you are primarily strengthening your body’s cardiovascular system (heart and lungs) through your runs. Lifting weights strengthens your body’s musculoskeletal system, making you more resilient to injury, so that you can hit those high mileage weeks without hurting yourself. Increased muscle strength will help us generate more power as our body fatigues, help our bones and joints absorb the many, many miles of pounding on harder surfaces, reduce our risk for muscle cramps and spasm that can occur in the latter portion of races, and make it to the starting line healthy! As a runner, you don’t need a TON of mobility/flexibility – if you can’t touch your toes, it is OK! A “tight” muscle is capable of generating increased power and force with each contraction. It’s a fine line though — the tighter a muscle is, the more risk you run of tearing that muscle with a high power contraction, or as it fatigues. It’s important to maintain the right length-tension relationship. Range, and strength within the range* is critical. So, should you be stretching? Yes. However, it’s important that you aren’t forcing yourself into end range positions or holding a stretch for a long time – sometimes this can do more damage than good! Whether you are a new runner or a veteran, making time for mobility work and strength training will set you up for success, and many, many years of happy, healthy running! 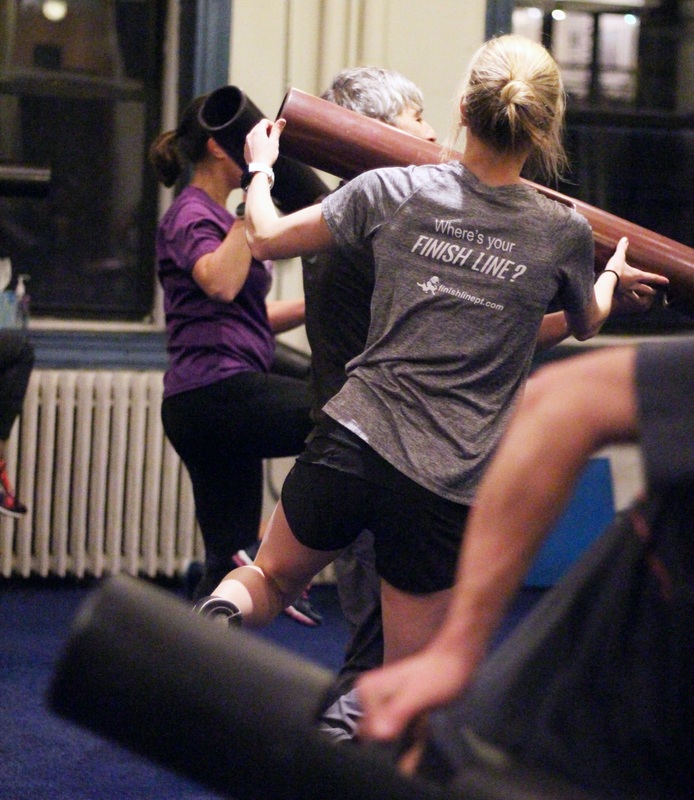 Looking for a strength class designed specifically for runners? Check out our FORGE classes at The Foundry powered by Finish Line PT.